While it's steeped in history, the city buzzes with a contemporary vibe. Its energy and creativity have seen it designated the European Capital of Culture in 2020. Arty, bohemian Galway is one of Ireland's most engaging cities. Brightly painted pubs heave with live music, while restaurants and cafes offer front-row seats for observing buskers and street theatre. Remnants of the medieval town walls lie between shops selling handcrafted Claddagh rings, books and musical instruments, bridges arch over the salmon-stuffed River Corrib, and a long promenade leads to the seaside suburb of Salthill, on Galway Bay, the source of the area's famous oysters. 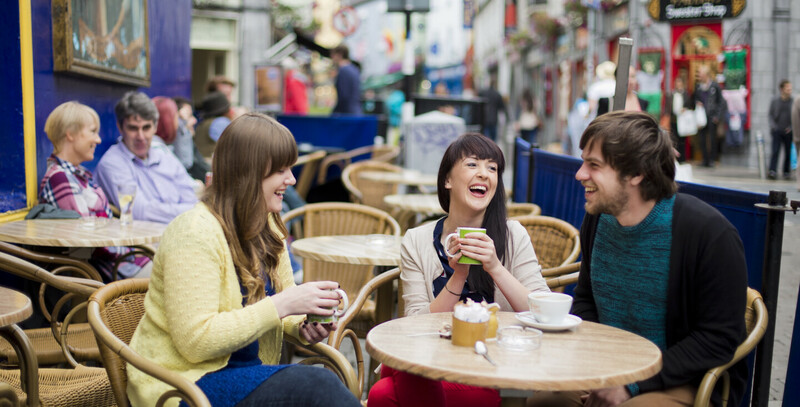 Galway’s food scene includes incredible cafes, bistros and fine-dining restaurants. Visit Galway during festival time and you’ll understand the city’s reputation as a party town. Every summer, this western gem comes alive with festivals that draw the very best of local and international talent. Visiting Galway City - Stay with us at Connemara Coast Hotel and relax in our outdoor hot tub as you watch the colours of the sunset resting in the calm waters of Galway Bay. With the serenity of our location coupled with our spectacular views, coastal walks and rugged landscape we can guarantee you getaway to remember.